Fels and I thank you for coming to play in the Sett and exploring The Supporting Cast of Harry Potter. It was a lot of fun for us to explore so many of the ramifications of just what makes the Harry Potter books (and movies) so good, and to focus on those who are less well known and/or written about. Many of you participated and played! Lots of Diamonds were earned -- wonderful. A basic breakdown of Diamonds earned is this. First shown is your name, then the Diamonds earned doing the trivia and then the Diamonds earned in the weekly activities -- then the total number of Diamonds which will be plopped into your folder! In addition to Diamonds handed out, we have an award for those who participated in at least half of the trivia and half of the weekly activities. Please be aware that we cannot give you the Award just yet, but unless Parker steals them, when that function is open in the HOL office, you will get the Award! 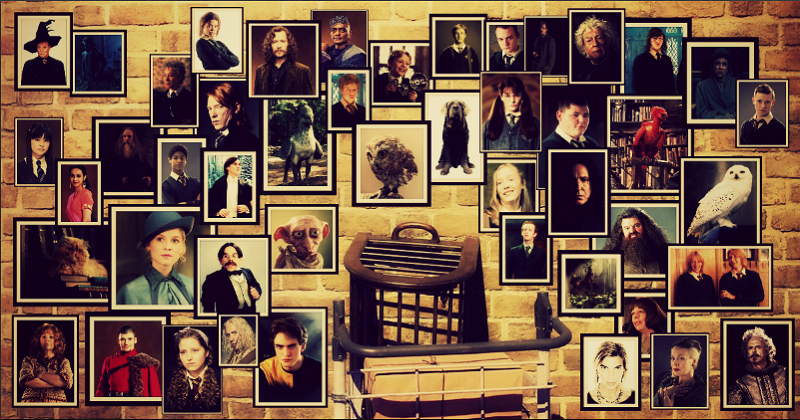 Again, thank you very much for a lovely time of examining, exploring and playing with The Supporting Cast of Harry Potter. This was such a nice and heartwarming activity. Thank you, Fels and Tarma! For the diamonds and fun stuff. Avatar by Tarma | Signature by Molly | Awesome! The Award, Supporting Cast One, has been put into the folders of those who earned it!